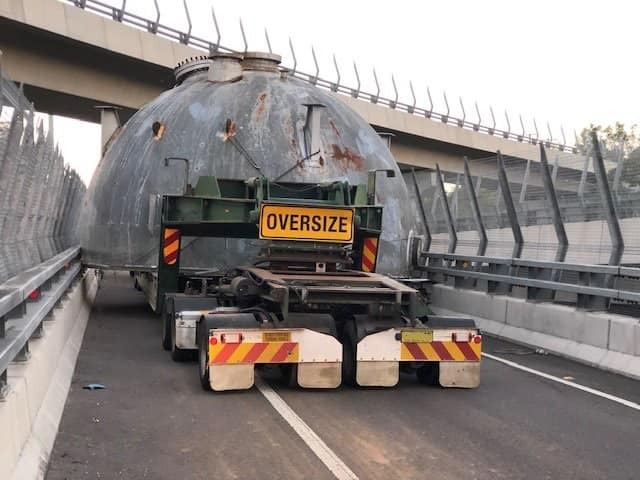 One of two northbound lanes is closed on the M1 Pacific Motorway at Cameron Park as work continues to salvage a truck with a shifted wide load on the off-ramp to Newcastle Link Road. The northbound off-ramp from the motorway to Newcastle Link Road eastbound remains closed and motorists are advised to exit the motorway at George Booth Drive to use Cameron Park Drive instead. Motorists wanting to access the Hunter Expressway westbound can still use the off-ramp. Emergency services, traffic crews, heavy tow trucks and bridge engineers remain on site.